Why is Haman called Rasha, but not Pharaoh? Because we only got a one day vacation from Haman, but from Pharaoh, we got 7 (8 if you live in Chul). Sometimes it's easy to forget, Purim is a very serious holiday. Haman makes a deal with the king. He's going to guarantee the king 10,000 talents of silver (approximately two-thirds of the kingdom's normal annual tax revenue) within a year. Money needed after the coffers the have been depleted from war. Haman's plans is to extort one of Persia's client nations, and when they can't pay up the full amount, he's going to have them all killed and take their property for the state (and what's left over for himself). The king agrees, perhaps (or perhaps not) knowing that Haman specifically meant the Jews. He doesn't really care. He's told the victim is weak, disunited, unloved, and most importantly unable to fight back. The plan begins. Perhaps Haman is already collecting from his Jew tax and adding the money to the king's coffers, and the Jews are starting to be impoverished, and they certainly realize they can't make up the missing sums. The threat of death looms closer. And then the miracle of Purim happens, and everything is turned around. I've always wondered about two things. The first is why didn't the Jew take the booty from the fighting. After all it was theirs by right. The second is why did Mordechai and the King implement a tax. In his amazing book "Esther, Ruth, Jonah Deciphered" Stephen G. Rosenberg provides an answer (to the second question, for sure). One traditional answer as to why the Jews didn't take the booty was to send the king a message. The Jews are just looking to survive and not take from other people, that the Jews are controlled and united in their actions, etc. But Rosenberg, by explaining the background of the 10,000 talents of silver provides the background for a different explanation. The tax at the end of the story that was implemented, was a tax created to make up the shortfall in the budget (that Haman had promised), but one that was fairly distributed, instead of just on the Jews. (Rosenberg also explains that the other nations that "became Jews" doesn't mean they converted - the wording is unusual - but rather they helped the Jews pay the Jew tax). And that actually helps explain why the Jews didn't touch the booty. Haman had planned to take the Jews property and give that to the king as part of the 10,000. The Jews here did they same thing. They left the booty to the king and filled up the King's coffers. Suddenly King Achashveirosh learns quite a lot. His queen is a Jew. His best advisors are Jews. The people looking out for him (without expectation of reward) are Jews. The people able to help him fill his coffers are Jews. The most able fighters in his kingdom are Jews. The most united people in his kingdom are Jews. From a disrespected people at the beginning of the Megillah whose holy Temple vessels are used for binge drinking parties, to a people that everyone fears and respects at the end, that really is a Purim miracle. Please God, in our day too. There's a pattern. Jews acknowledge their heritage, and the Arabs riot. Netanyahu opened up the Kotel tunnel exit- a significant archaeological dig that publicly displays our historical connection to Jerusalem - the Arabs riot. Netanyahu merely calls Kever Rachel and the Tomb of the Patriarchs historical Jewish sites (which they are) and - the Arabs riot. Just recently headstones on the Mount of Olives - one of the oldest Jewish cemeteries in the world were vandalized again. They don't seem to like it that everywhere one looks and digs, one finds more and more unquestionable proof of Jewish existence and sovereignty in Eretz Yisrael. I think it upsets them more that they can't find anything historically Palestinian at all - since there never was a Palestinian state or people in the first place. And the riots are political violence, organized by their leaders - they're not spontaneous. JPOST US displeasure with the designations of the Cave of the Patriarchs in the flash point town of Hebron and the traditional tomb of the biblical matriarch Rachel in Bethlehem had been conveyed to senior Israeli officials by American diplomats. Hebron is one of the oldest Jewish cities in Israel - with the exceptions of the short periods after the Arabs massacred all the Jewish residents - Hebron has had a continuous Jewish presence for all those 3000 years. Kever Rachel goes back even hundreds of years earlier than Hevron becoming a Jewish city (in the time of Joshua). And our connection the Ma'arat Hamachpelah goes even further back to Abraham. We know Obama has problems with historical facts relating to his own country, but does he really need to stick his revisionist nose into ours? If you go onto Facebook and start searching on the names of the Dubai assassins, you'll see that most of them have a Facebook page. Obviously this was done as a joke. 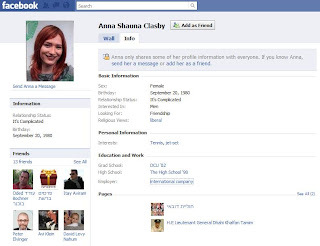 But what this really means is that in the future spies are going to have to create even better background cover identities, because Dubai is going to hook up their passport control to compare their photos on Facebook and simply try to see if they exist in the online/real world. Not Kosher - or just rude? 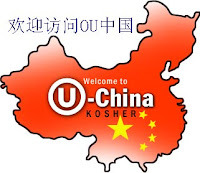 At an OU Kashrut conference recently held at Lander College in NY, an OU rabbi was giving a speech on Kashrut certification in China and about Chinese culture in how it relates to doing business with them and certifying food as kosher. A man in the audience called out the question, "How can you trust the Chinese? They're all a bunch of liars, thieves, and criminals". Without missing a beat (or so I was told), the OU rabbi answers back, "Then I guess the Chinese have even more in common with the Jews than I previously thought.". The man shut up, and the rabbi continued his speech. I wonder if he davens at the Park East Synagogue. 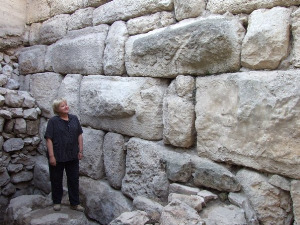 INN: "Hebrew University archaeologists have revealed an ancient path in Jerusalem believed to date back to the time of King Solomon, along with structures including a gateway and the foundation of a building. Dr. Eilat Mazar, the leader of the archaeological dig, said the findings match finds from the time of the First Temple." Two minor victories occurred today. Jews reentered the city of Jericho, first captured by Joshua thousands of years ago ("Jericho First"), though in more recent history, ethnically cleansed of Jews through left wing collaboration with our enemies. The Jews entered the site of an ancient synagogue that was destroyed by the Arabs a few years ago, and raised the Israeli flag. The IDF was forced to reenter Jericho to expel them. Among the Jews was MK Michael Ben-Ari. 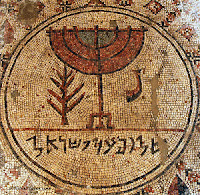 Itamar Ben-Gvir noted that "Jericho First" is indeed a fitting slogan for a return to our land. The second victory took place in the halls of political power. Many noted with surprise that the Prime Minister's Heritage Plan left out 2 of the oldest sites in Jewish history - Rachel's Tomb and the Tomb of the Patriarchs. On the other hand, as the Prime Minister had already given away Hebron once, the second time should not really be much of a surprise to anyone. But due to lobbying from various politicians and activists, both have been placed on the list. Minor victories? Perhaps they seem so now, but perhaps in a few years from now, these might be looked at as major turning points. I prefer my talks with my Jewish Liberal friends so much more than my talks with my Jewish Leftist friends. I find so much more common ground. Most Jewish Liberals in the Diaspora like and even love Israel. They like to visit the country. They are still proud of the IDF and like to take pictures with soldiers. They enjoy walking around the Old City of Jerusalem or going to the Dead Sea and the Golan. They don’t see them as occupied territory (or don't understand what the fuss is about as it looks like Israel to them). They believe that Israel is inherently a good country (with problems). Their downside is they unfortunately, and misguidedly believe the “Peace Process” is going to actually bring peace, and that a 2-State solution will actually work. But activities such as trying to get IDF soldiers and Israeli politician arrested for war crimes when they visit overseas, or being ‘mosering’, simply disgusts them on so many levels. I was just talking to a Liberal friend in the US about the recent attempt at delegitimization of Im Tirtzu. I mentioned that the Left in Israel are trying to compare the NIF to the CIF (Central Israel Fund), and comparing Im Tirtzu and Honeinu to Adallah and ACRI, and expose them to the world. For instance, in one of their arguments they try to say the CIF is (also?) a tainted organization because they provide funding to Honeinu which provides legal assistance to Israeli citizens who committed what they consider to be ‘nationalistic’ crimes or have ‘nationalistic’ ideologies. My liberal friend was astounded that the Israeli Left would consider this a reasonable tactic to use - to attack an organization for supplying basic civil rights services to citizens who might not otherwise not get fair or proper representation (and apparently citizens they wouldn’t even consider assisting themselves). He said to me that the most fundamental principle of the ACLU is that regardless of ideology they would make a point of guarding the rights of everyone. The ACLU even came to the aid of arch-enemy Rush Limbaugh when they felt his civil rights were being violated. It certainly becomes obvious, that to the Left in Israel, hypocrisy rules, and rights and the rule of law are less relevant to them when you’re seen to be on the wrong side of the ideological fence. Besides that they helped get Israel attacked in the international political forum, the above is just one of the very significant reasons why people are so disturbed by the NIF expose, while the Left’s “expose” on CIF, Im Tirtzu, Honeinu, Women in Green, etc. doesn’t really bother anyone. The Jewish Liberal, is not yet the Radical Berkeley Left and certainly isn’t the Israeli Left. It’s nice to use words to raise money for projects that resonate with Diaspora Jewish liberals and mean something specific to them. But when your application of those words turns out to be something radically different than their understanding of those words, and they learn their money goes to things that they see as very bad for Israel and damaging to Israel, then that dissonance becomes a big problem that trying trash the right as a defense is not going to divert or resolve. Following the unwanted publicity Im Tirtzu garnered against the NIF, far-left Mererz MK Haim Oron announced that he will begin probing Right-wing funding. I don't think the man really understands what the fuss is about. Everyone is in an uproar over the NIF because from all appearances, money that was supposed to be going to an organization involved in "social issues" repeatedly and knowingly went to anti-Israeli organizations that attacked (or helped attack) Israel in different arenas and platforms. Certainly that's how it appears to donors who have now stopped their support, who were unaware of what activities their money as funding. Right wing groups (including Umbrella groups) publicize their goals, they aren't embarrassed by them, or afraid that their mainstream donors might find their actions distasteful, anti-Zionistic, or anti-Semitic. Donors to RW groups and umbrella organizations know their money is helping to build settlements, buy land, help the Zionist enterprise and helping keep the Torah. The only real secret is which Arabs are helping up quietly buy land in Eretz Yisrael (and exposing their identities would be partner to murdering them). 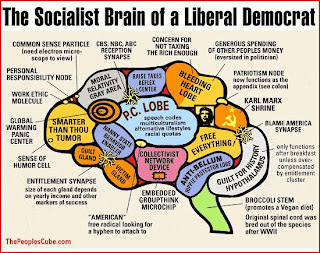 And isn't that exactly what it appears the Left are trying to do? Foreign agent quietly funneling money to many small organizations who undermining and attack the country in different ways, some of them attacking the very core definition of the democratic Jewish state. All the while attacking the very freedom of speech they profess to champion. So probe away Oron. Maybe you'll help publicize some of our small organizations enough, that some big money will come in and we can buy, build and teach even more. In the meantime, this Shabbat we can take pleasure in knowing that the ugly underbelly of one front against the Jewish State has been exposed and damaged. 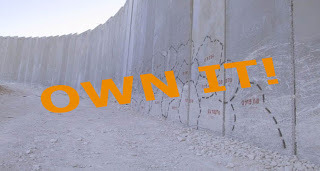 Local Israeli artist Yoav Weis apparently has more art sense than business sense, but that hasn't stopped him from coming up with this hilarious idea, called Buy the Wall. I don't think it's a great investment idea, but it sure is amusing. Center-Left MK Otniel Shneller (Kadima) is calling for an investigation of the 'New Israel Fund'. Far-Left MK Nitzan Horowitz (Meretz) is defending the 'New Israel Fund'. 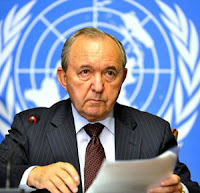 The question involves NIF funding of certain NGOs that are believed to have given false testimony against Israel for the Goldstone Report.